Visit our Facebook pages and YouTube channel. 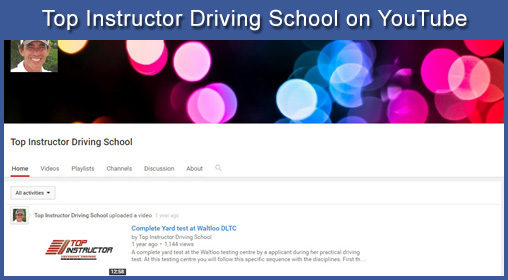 Arm yourself with facts regarding your driving training and the realities of the practical driving test. 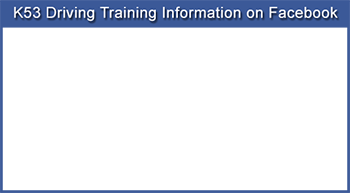 Note: Top Instructor Driving School is a member of Southern African Institute of Driving Instructors (SAIDI). SAIDI is the only driving school organisation that is endorsed by the Automobile Association (AA). Click on the SAIDI link for more information. 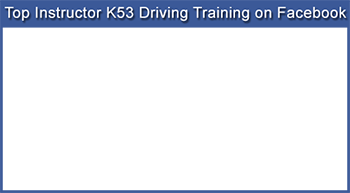 As service provider, Top Instructor Driving School provides training in a vehicle with a dual controlled braking system. This not only provides a back-up safety feature to the client and the instructor but also to your fellow road users. Many other Driving Schools do not provide training in a vehicle with a dual control brake. This is utter foolishness! As a parent and road user, would you want your teenager behind the steering wheel of a vehicle in which, the driving instructor has no alternative measure of preventing a collision in a crisis? The dual controlled braking system allows us to provide freeway training and teaches the student to how to cope with freeway conditions. This also teaches a learner how to cope with peak-hour traffic conditions on South African roads. If, for some reason we were unable to provide freeway training during your lessons, a freeway-training lesson will be offered to you after you obtained your driving licence, at our expense. It has happened in the past that bookings for appointments could not be made for reasons beyond our control. Should this occur, Top Instructor Driving School will not be held responsible as specific service was rendered as intended. Driving lessons will be two (2) hours long per driving lesson; as a one (1) hour lesson is a waste of your money and time. Your driving lessons begin when you are behind the steering wheel and driving, not the Instructor. You pay for two (2) hours’ training and you will drive for two (2) hours. At Top Instructor Driving School, your training will be complete before the day of your practical driving test. We do not provide inferior training; meaning that on the day of your practical driving test, you will be a skilled, competent road user and not a learner driver anymore. We will not manipulate you nor trick you into make a practical driving test booking, if you, the learner are not trained according to Top Instructor’s thorough, meticulous standards as set out in the relevant Department of Transport Test manual. We will ensure to the best of our abilities, that on the day of your driving test, you will be test ready! We strongly recommend a test simulation lesson of two (2) hours on the day of your practical driving test. The test simulation lesson includes driving the same routes, as it will be done during the test. This lesson places the client in the correct frame of mind for the practical test. The fees involved on the day of the test include the use of the training vehicle and the physical presence and guidance of the instructor who trained you.